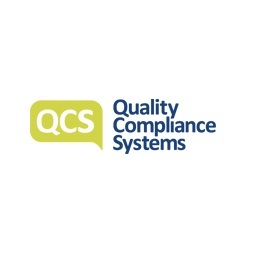 QCS is the leading compliance management system for the care sector. Delivering the most comprehensive set of customised policies, procedures and compliance toolkits in line with regulatory requirements and best practice guidelines, digitally, 24/7, via the online system and QCS App, to over 53,000 users. Ablyss Systems provide specialist software to the residential care sector. Our software, The Ablyss Care Management System (CMS), offers a range of cost effective products designed to give the end user complete flexibility to help achieve compliance and to help evidence the care provided. Please visit our website www.ablyss.co.uk to find out more. apetito are dedicated experts in nutritious, sustainably sourced food for older people. We are passionate about sharing our expertise with our customers through genuine partnerships, to empower them to create an exceptional dining experience with great food that is shared and enjoyed. We will help you create comfortable, exciting spaces that best present your corporate image or communicate effectively with visitors using effective way-finding and signage. Our project management services will help you with design, function and cost, whilst ensuring the need for durability, health & safety and rapid rollout are met. Bio-Kult is a scientifically developed, advanced multi-strain formulation containing 14 live bacterial cultures which are proven to survive the high acidity of the stomach and help maintain a balanced digestive system. Bio-Kult does not need to be refrigerated, can be taken by vegetarians, alongside antibiotics, during pregnancy and as part of a healthy diet. Blueleaf is much more than just a care home supplier, for many of our clients we are a trusted partner for enabling growth. We utilise our network of partners and in-house experts to provide solutions that remove blockages to growth, ultimately helping them achieve their long term goals and vision. Bollington is an independent insurance broker with specialist knowledge of the care, charity and not-for-profit sectors. Through their relationships with quality insurers, Bollington’s team of DBS-checked advisers and account managers work with their clients to deliver individually tailored insurance and risk management solutions for organisations of all sizes. 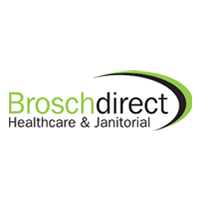 Brosch Direct are proud to be one of the UK’s leading suppliers of Healthcare and Janitorial consumables and equipment for over 30 years. Boasting one of the most comprehensive glove ranges on the market and complimenting this with several thousand own brand and brand leading products to ensure you have everything you need. Care & Nursing Essentials is the care industry’s own entirely independent magazine, offering its advertisers an opportunity to present their products and services to this extensive market, in a highly cost effective way. Care Check is a leading umbrella body for the Disclosure and Barring Service and has been named one of the top 15 providers for criminal record checks in the UK. We work with a plethora of industry sectors from independent care homes, schools and NHS trusts to construction companies and taxi firms. CareDocs is an integrated solution for care planning and care home management. Designed by care home owners, it’s a user-friendly package that makes person-centred care planning easy. Managers have immediate access to all the information they need to ensure important tasks are not overlooked, saving time and resources. Citation are the UKs leading compliance provider to the care sector. We specialise in Health & Safety, Employment Law, ISO Certification and regulatory compliance. ranging from a one off mock inspection or fire risk assessment through to 24/7 support services, we can tailor a package ideally suited to your needs. Courtney Thorne is proud to be a leading innovator in the UK’s wireless nurse call industry for 50 years. SMART high-quality UK manufactured technology coupled with class-leading support is trusted by well-known care homes and hospitals. The key features: SMART wearable technology, wireless accessories and remote reporting. Biodose™ is the only monitored dosage system on the market to accommodate liquid and solid medication. We have independent pharmacies providing Biodose™ up and down the country, enabling us to select a provider that can design a medicines adherence service to suit any care setting. At eLearning For You, we’re dedicated to raising the quality of care in the UK through the delivery of engaging eLearning. With over 60 online care sector courses covering both mandatory and additional training, our eLearning provides staff with the skills they need to deliver high-quality care. The Nordic specialist in wireless nursecall solutions for care. Our technology is cloud based and fully scalable with the user`s needs at the centre and focussed on your business. We offer quick-installed and personalized solutions that enable people to continue living a quality life in both regular and residential care. everyLIFE Technologies is the creator of the PASSsystem and openPASS digital care planning and monitoring tools, enabling all relevant parties to share, record and update documentation related to a person’s care – from care provider to family member. Inenco provide clients with a bespoke energy to suit their business’ needs. We ensure energy contracts, negotiations and renewals are managed to keep costs competitive. We’ve built strong relationships with suppliers, enabling us to negotiate for you and get the most competitive energy rates, saving you time to focus on running your business. We offer specialist advice and guidance for the care sector to ensure your business is properly covered. We can help you insure your business to protect what matters most and those who matter most to you. With a range of experts in our care insurance team, we’re here for you. Experts in wireless nurse call systems, Medicare Systems offers a professional service from initial consultation through to installation and after-sales support. Medicare simple, durable and easy to use Nurse Call products are designed and manufactured in the UK, and are built to withstand all care home environments. Mister Uniform are proud to be one of the UK’s leading uniform suppliers to the professional care sector. Professional uniforms will enhance your teams pride and give confidence to your clients and other stakeholders. Mister Uniform offers a “one stop solution” for all your uniform needs – from care wear to chefs wear we’ve got it covered. My Learning Cloud produce multi-device learning specifically for the Health and Social Care sector. We offer over 50 CPD certified elearning courses and an engaging and interactive Learning Environment. We became the first elearning provider in England to be endorsed by Skills for Care and helped write the endorsement framework. OM Interactive are pioneers in the development of motion-activated projections on floors, walls and tables for multi-sensory use. Our interactive Mobii table provides adults in care with meaningful person-centred activities that encourage movement, positive outlook, communication and social involvement with powerful visuals, games, quizzes, music and reminiscence content. 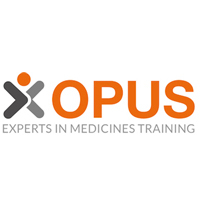 Opus Pharmacy Services are the experts in accredited medicines training for the care sector and schools. Through a team of experienced qualified pharmacist trainers, Opus has trained over 100,000 staff across the UK. Training is available via face to face sessions, E-Learning or self-study Learning Workbooks. A free medication administration solution tailored to the person’s individual needs. PillTime provides multiple medications pre-sorted in clearly labelled, dose-specific, easy to open pouches. PillTime reduces the likelihood of administration errors, improves compliance and promotes health and well-being. Ecophon is part of the Saint-Gobain Group, the company is a global supplier of acoustic ceilings and wall panel systems that contribute to good room acoustics and support a healthy indoor environment, with a focus on offices, education, healthcare, retail and industrial manufacturing premises. Our falls prevention monitor and Stealth innovative Stealth sensor pads are proven to help reduce the risk of falls, from a bed, chair, toilet. Visit our stand for a demonstration and arrange your free trial. Since 2001 W&P provides a range of products and services to the health and social care sector across the U.K, including: Policies & Procedures for Domiciliary, Residential, Nursing Care & Learning Disability Providers, Business Form Template, Compliance Workshops, Staff Training Materials, Bid Writing, Business Advice and Mock Compliance Audits. WMR Waste Solutions is a waste consultancy and broker, sourcing the best waste management companies to service our client’s specific requirements. At WMR we find the correct solution for your needs, even if that means using multiple companies to provide a total waste management solution for your site.